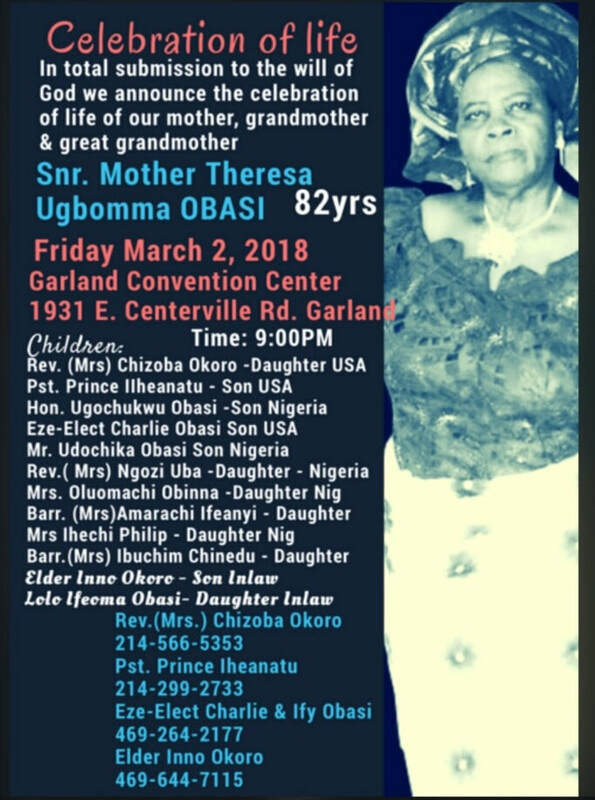 MARCH 2, 2018 Join the Obasi & Okoro Family for the Celebration of the life of their mother and mother in law at Garland Convention Center. 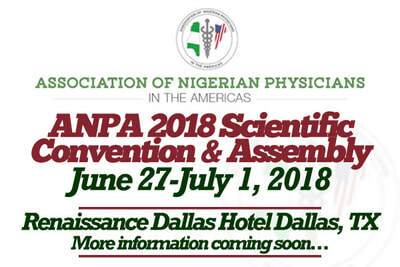 Chief Engr. Tony & Lolo Dr.(Mrs.) May Okafor morn the untimely death of Dr. May's immediate younger sister, Mrs. Ngozi Umeloh, whose life was cut short on the 9th of January, 2018. 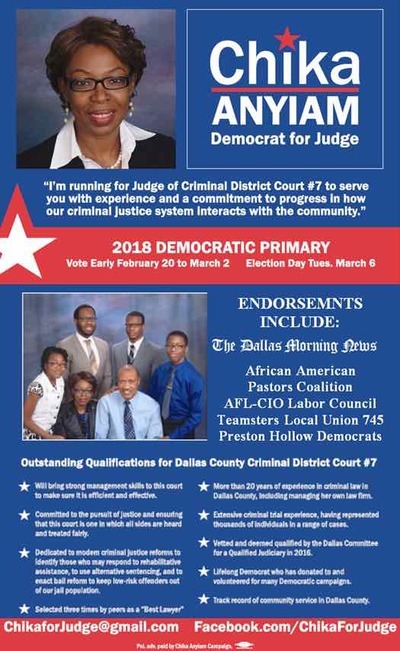 May her gentle soul rest in peace. 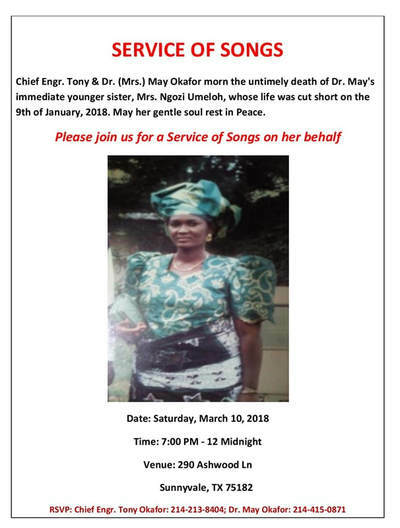 Please join us for a service of songs on her behalf, at 290 Ashwood Ln, Sunnyvale Tx 75182. 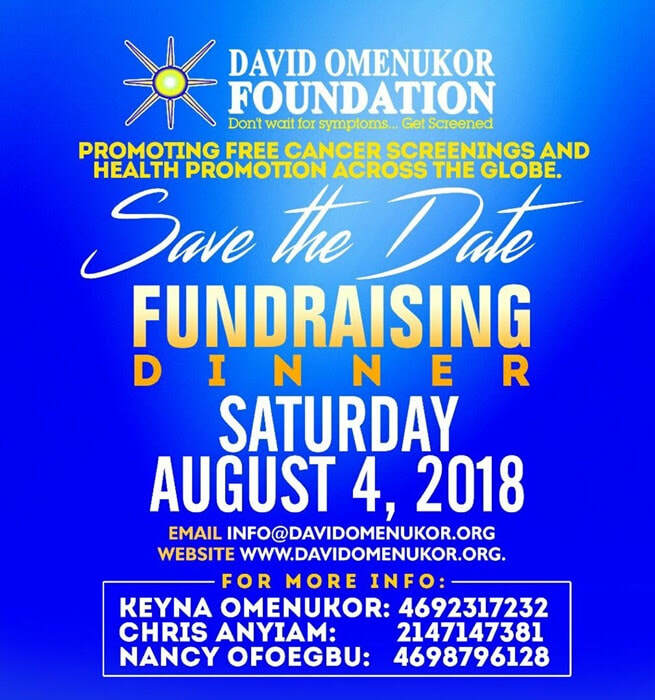 Please come and support us at the wake keeping of our father, father in-law, grand father, brother, uncle and friend, of Ubokoro Atta, Njaba, LGA, Imo State, Pa Hyginus Obidiugo Mmadu. 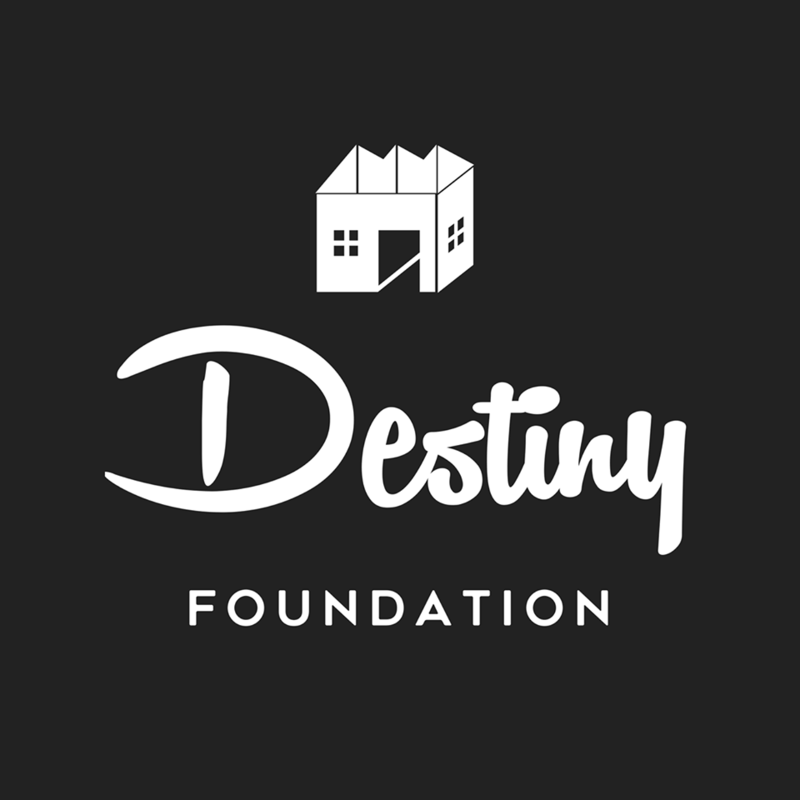 April 7, 2018 - Save the Date for Destiny Foundation Fundraising Gala. 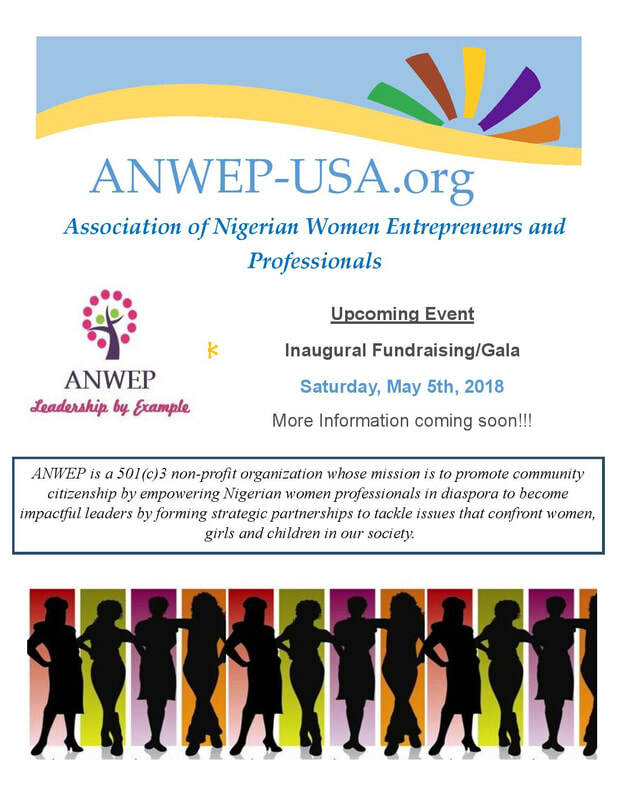 Details to be announced. June 22, 2018 - Kristine & Crystal's graduation party. 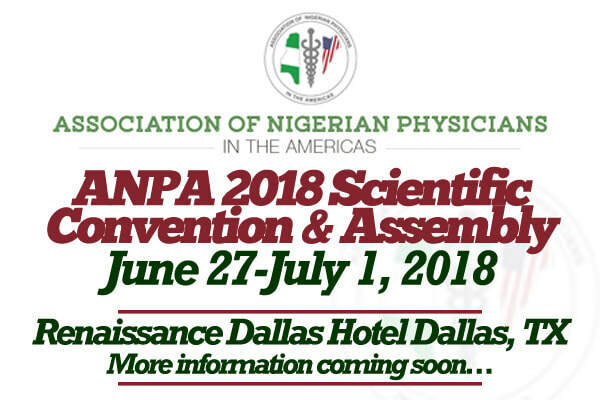 Stay tuned for more..
June 27 - July 1, 2018 - ANPA 2018 Scientific Convention & Assembly. Stay tuned for more. 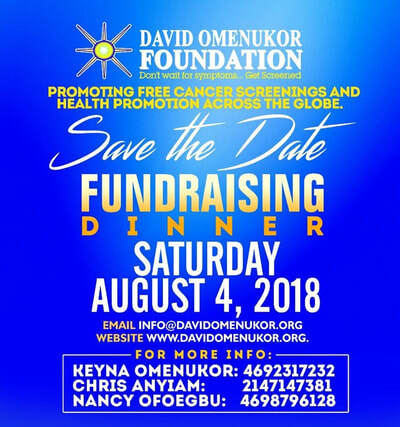 July 7, 2018 - Akah National Cultural Extravaganza. Stay tuned for more. 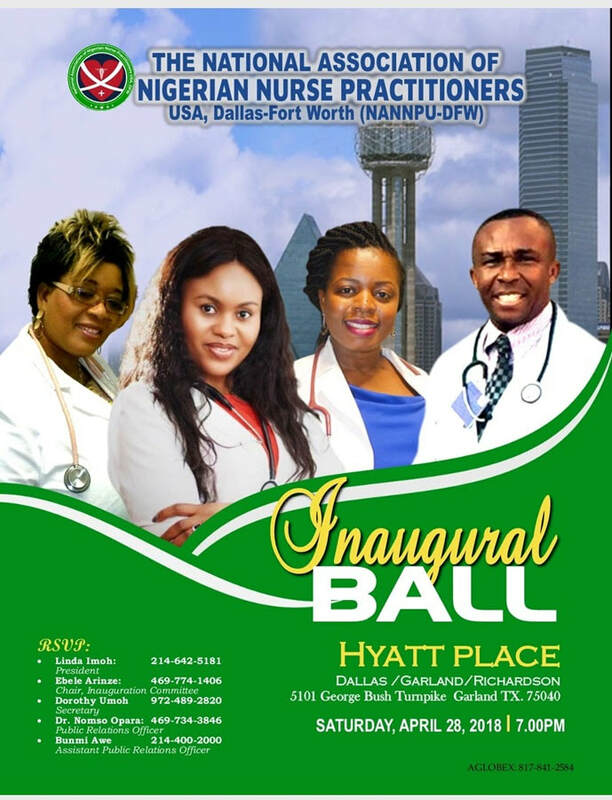 July 14, 2018 - Uzoagba USA National Convention in DFW. 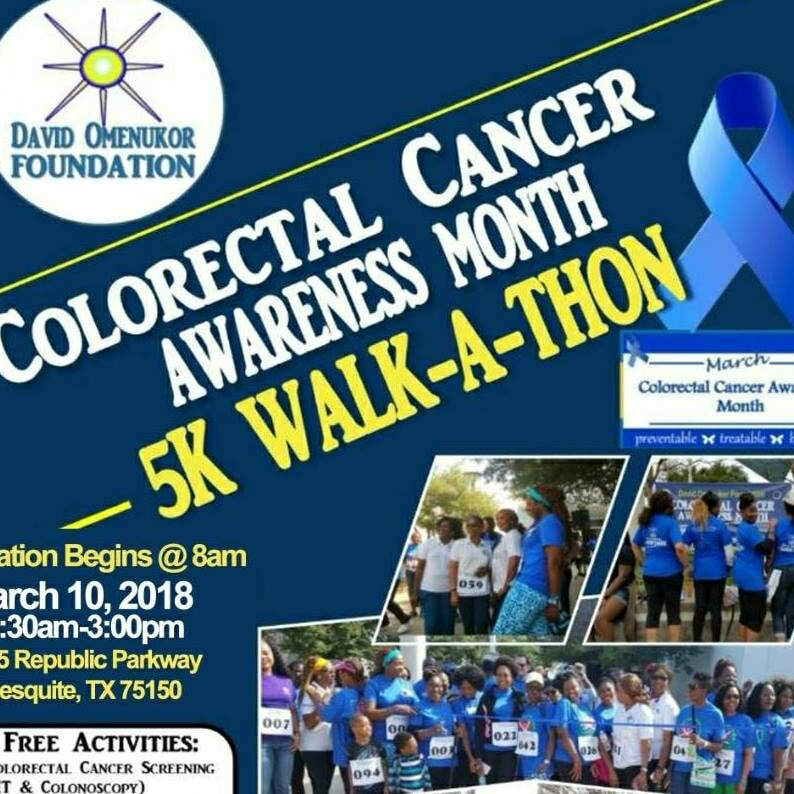 More update to follow. September 29, 2018 - Prosper Foundation for Sickle Cell Walkathon & Gala night. For information on adding an event to the community calendar, please go to Post your Event or e-mail pro@icandfw.com. 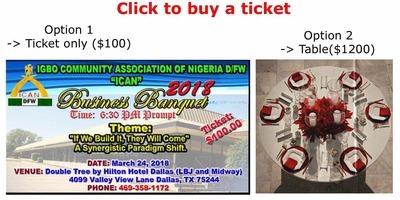 THIS IS FOR ICAN DFW MEMBERS ONLY!